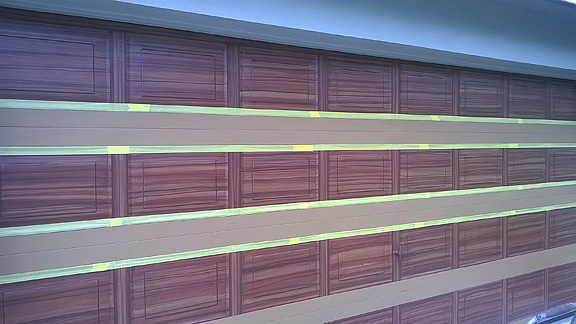 I finished painting the two car garage door on Friday. I really had some good luck with this garage door. First of all the door is on the north side of the home so I was in the shade all day and second of all I didn't get rained out. Typically it takes one day to clean, prime and then paint on the base coat of paint. 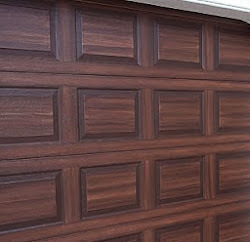 Then the next day I can start to paint the garage door to look like wood. On this job I have two garage doors to paint to look like wood. A single door and a double door. 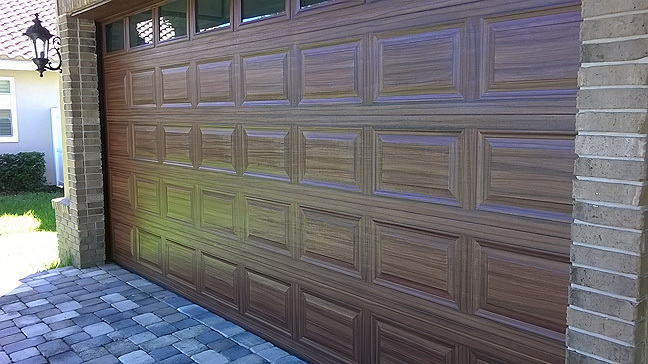 I created the wood look on the single garage door first then moved onto the bigger door. The first day on the bigger door was a really productive day. I was able to paint all the panels on 4 rows to look like wood. The first photo is at the end of the day. The next day I started off by painting the wood grain in on the space between the rows of panels. When I do this I tape off the top two rows and then paint them. After they are done I raise up the garage door so I can get the bottom two horizontal spaces. In the next photo you can see how I am ready to paint in the top two horizontal spaces having taped them off. After I have painted the entire door to look like wood I apply by brush a clear acrylic top coat that is UV protective. The last photo shows both doors complete. 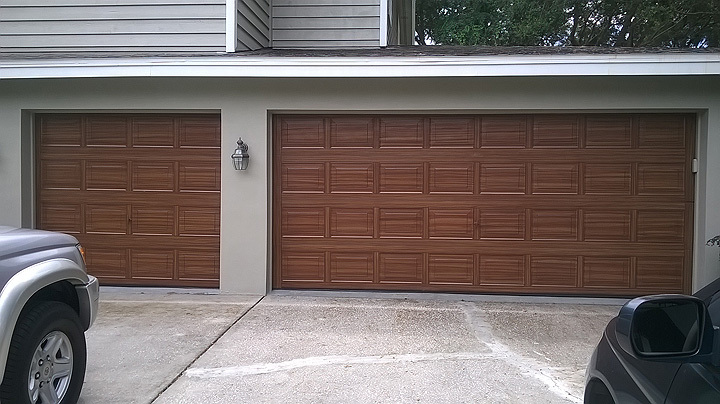 They came out great and the homeowners are thrilled with the result.